We do realise nursery fees can seem high for parents however Nunthorpe Nurseries Group (9 nurseries located across Teesside and Middlesbrough) does reward parents for recommending other parents to us. Did you know that if you reccemend somebody to one of our 9 nurseries and they take a full time position you will recieve 1 weeks FREE childcare worth approximately £150. Please ask your nursery manager for one of our specially produced reccomendation cheque books which is worth £1800. I think you will agree this is an excellent way of reducing your monthly outgoings. We also accept nursery vouchers from lots of different companies for example Sodexho, Edenred, Computershare, Kiddicare etc. 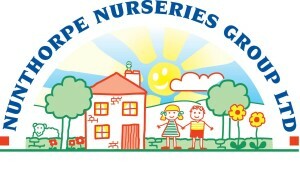 If you are not sure if the company you work for offers nursery vouchers let us know and we can approach them for you. You may also be entitled to claim childcare tax credits which will reduce your fees! !